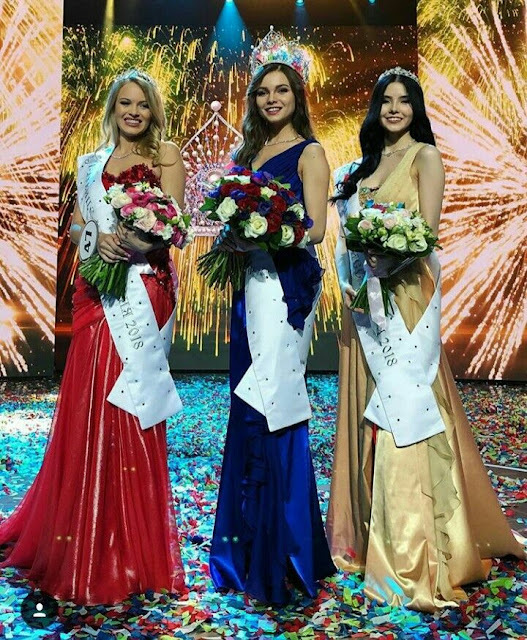 Yulia Polyachikhina, 18 (center), from Chuvashia, was crowned as Miss Russia 2018 during a gala event on April 14 at the Barvikha Luxury Village concert hall near Moscow. 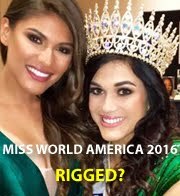 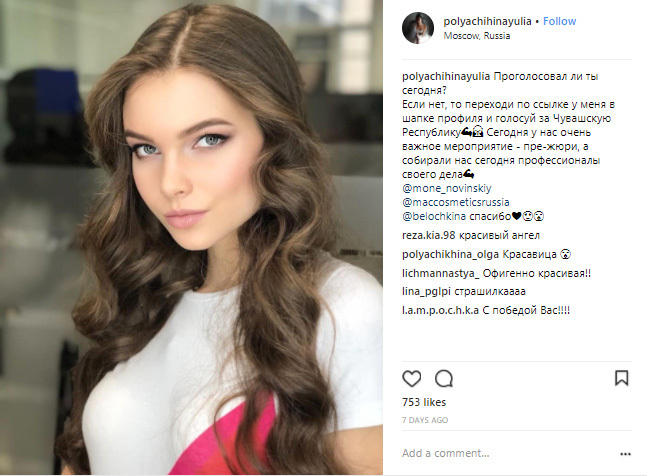 She will now compete in Miss World 2018 to be held in China in December. The First Vice Miss Russia 2018 is Violetta Tyurkina (left) from Belgorod and the Second Vice Miss Russia 2018 is Natalia Stroyeva (right) from Yakutia.